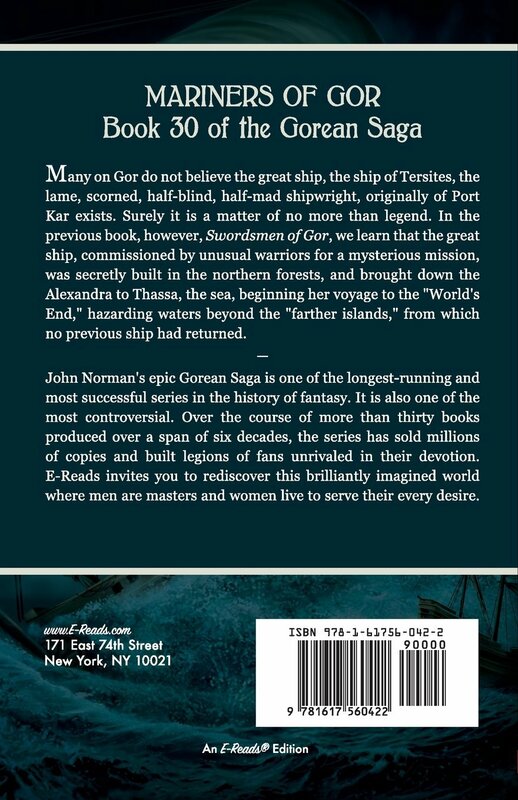 In March, 2013, this Second Printing replaced the First Printing, originally published in September, 2011. 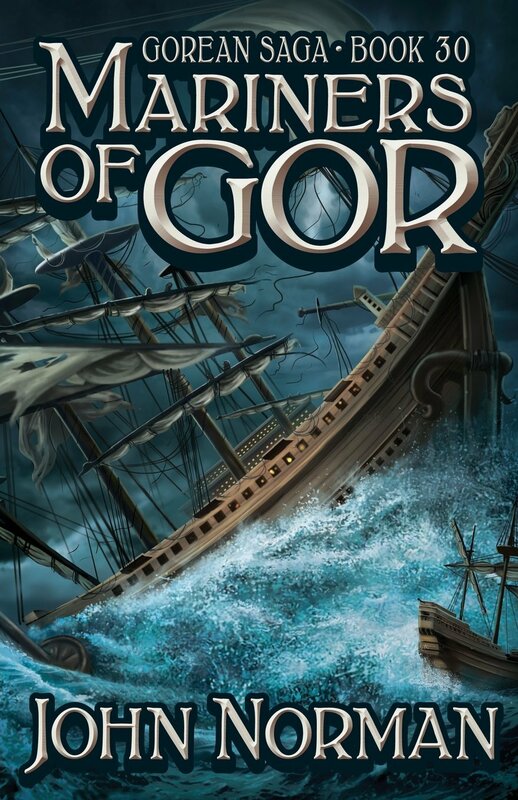 Many on Gor do not believe the great ship, the ship of Tersites, the lame, scorned, half-blind, half-mad shipwright, originally of Port Kar exists. Surely it is a matter of no more than legend. 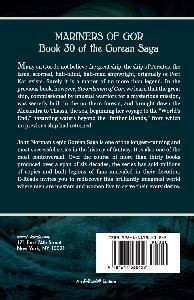 In the previous book, however, SWORDSMEN OF GOR, we learn that the great ship, commissioned by unusual warriors for a mysterious mission, was secretly built in the northern forests, and brought down the Alexandra to Thassa, the sea, beginning her voyage to the "World's End," hazarding waters beyond the "farther islands," from which no previous ship had returned.